The Martini is a manufacturer approved surround for the UL Listed AB8 burner. Elegant, simple, and ever so functional, the Martini Fire Table is perfect for entertaining. 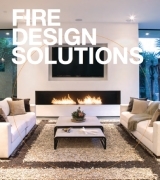 With sufficient space to set down food or drinks, the fire becomes a welcoming destination for guests to gather around. With a sunken circular flame at its centre Martini certainly knows how to grab your attention. 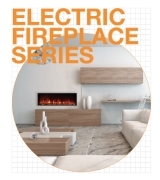 EcoSmart Fire’s when fueled by e-NRG Bioethanol are the single, most eco-friendly fires available today. 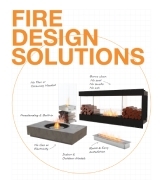 With no smoke, soot, or ash your clean-burning, bioethanol fire can even be used indoors! 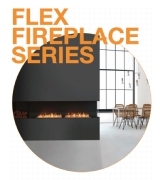 EcoSmart Fire provides you with unparalleled freedom and ultimate flexibility. With our Triple Fuel Advantage, you get to decide on the fuel source that is right for you. Choose from Natural Gas, Liquid Propane, or Bioethanol. When you select Bioethanol or Liquid Propane as your fuel source you’ll never be tied down! With zero hard utility connections, relocating your fire is a breeze. Entertain on your own terms with EcoSmart Fire. Available in three concrete hues – Natural, Graphite and Bone. This model comes with accessories to ensure the safe operation, including a Fire Lighter, Lighting Rod, Jerry Can 5L, e-NRG Bottle Adapter, Butane, Black Glass Charcoal and AB8 Efficiency Ring. A modern update to the classic fire pit.